We seek to be a place where wounded people can come to experience love and grace from God and from our church family. Our desire is to help individuals come to know God personally through Jesus Christ. We don’t want to simply be religious, we want to you experience the life Jesus came to give every person through a relationship with Him. It’s our conviction that people are tired of religion. We are as well. Jesus came to start a movement not an institution. Our passion is to experience the presence of God in worship so that our encounter with the living God will transform our hearts and minds. Through this living relationship with God through Jesus Christ we are empowered to live for him each day. His presence goes with us throughout each day. The Christian life is not another item on your list to check off. We don’t want to just “have church.” We want to experience the power and the presence of God in our worship and in our daily lives. Each of us is at a different place in this journey called life. Our hope and desire is to help each person take the next steps to know Christ and experience all that God wants to do in us and through us. 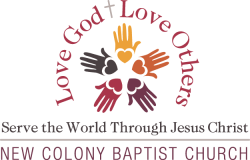 Our vision statement says we will “Love God, Love Others and Serve The World Through Jesus Christ.” This comes from Jesus instruction to love God with all our heart, mind and strength. Then Jesus says the second is to love our neighbor as ourselves. Our desire is to help people cultivate a love relationship with God which will then translate into loving others. We all need grace. Grace from God and from one another. We intentionally are a fellowship that places great value on grace. Jesus came preaching the gospel which means “good news”. Jesus describes his purpose by saying that he did not come to condemn people but to bring salvation to us. (John 3:16-17). As we experience the grace of Christ we become grace givers. Christians are to extend grace to others, not becoming judgmental or condemning. Our desire is to share in love and grace the message that Jesus came in the flesh to take our place on the cross, paying the penalty for our sin and rising again to offer forgiveness to all who come and put their trust in him as Savior and Lord. We seek to be a place where wounded people can come to experience love and grace from God and from our church family. While we may not always do this perfectly we endeavor to be grace givers to each other. Our worship is upbeat, using contemporary worship along with familiar hymns to help people worship God. From upbeat praise and worship music to stately hymns we seek to connect people with God. Our desire is to connect with people at all stages of life. We are blessed to have people from several different nationalities coming to worship and serve God at New Colony. We also offer bible study for preschoolers through adults. There is also childcare available for infants through toddlers. Our bible study groups meet each Sunday morning at 9:30 A.M. before our worship service at 10:45 A.M.
Make new friends and build authentic relationships. Make a difference in your community and world by serving others.